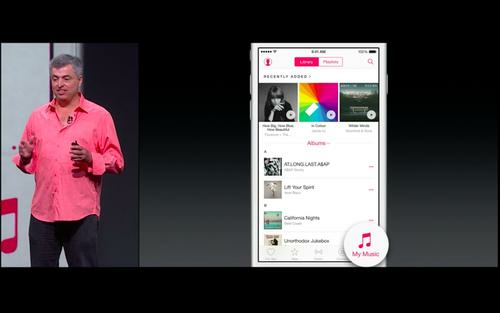 Apple Music takes pieces of Beats Music and iTunes Radio and adds a certain something special. Pop star Taylor Swift used her considerable clout as a top-selling artist to protest Apple's plan to pay musicians nothing for using their work during the free trial phase of the Apple Music offering, and the public shaming worked. In an open letter to Apple she posted on Sunday, Swift wrote, "We don't ask you for free iPhones. Please don't ask us to provide you with our music for no compensation." Later that day, Apple exec Eddy Cue said via Twitter that the company will pay artists for streaming, including during the trial period. Granted, SoftBank only had 1000 units of the cute Pepper home robot available on launch day Saturday in Japan. But the humanoid device, made to converse, recognize people's emotions and retrieve information from the Internet sold out in a minute; more units will be available next month. The European Commission might fine Google based on its AdWords revenue generated from European users as part of its antitrust action against the company, the New York Times reported. The regulator may also force Google to rank rival services in the same way that it does its own in search results, according to a document that's not public but was seen by the newspaper's sources. Researchers in Israel have used a device hidden in pita bread to spy on electronic signals that waft from computers while performing computations, often referred to as side-channel attacks. The signals can be analyzed by hackers to arrive at a wealth of data, including keystrokes, the application a person is using, and the secret encryption keys used to encrypt files or emails. Surveillance technology that captures millions of images of car license plates and stores them in databases is proliferating across the U.S., and can be used to track the comings and goings of individuals regardless of whether they are suspected of a crime. But Republican governor Bobby Jindal has put the brakes on in Louisiana, and vetoed a bill that would have created a pilot program for using the readers. Such programs "make private information readily available beyond the scope of law enforcement, pose a fundamental risk to personal privacy and create large pools of information belonging to law abiding citizens that unfortunately can be extremely vulnerable to theft or misuse," he said. Airlines are taking advantage of faster broadband links via satellites to develop new Internet-connected in-flight services like live broadcasting sports events, the Wall Street Journal found at the Paris International air show last week. Better connectivity will also help provide more information to crews piloting aircraft, while keeping ground crews apprised of maintenance and engine information. Amazon is tackling the problem of the declining credibility of reviews on its shopping site by employing artificial intelligence to identify and suppress fake critiques, and push commentary by verified purchasers higher, the Guardian reports. Amazon built the system in-house, and will use it to try to make the star-rating of products for sale a more accurate reflection of actual customer experiences. Comedy-news show host John Oliver turned his gimlet eye to the Internet on his HBO show on Sunday, specifically the online abuse suffered by many women. ICYMI: The New Republic explores the booming business in making fake social media profiles for sale to click farms -- and how that activity hurts companies relying on social media advertising.